My mom used to make this all the time. It’s mind-blowingly simple: 4 ingredients. 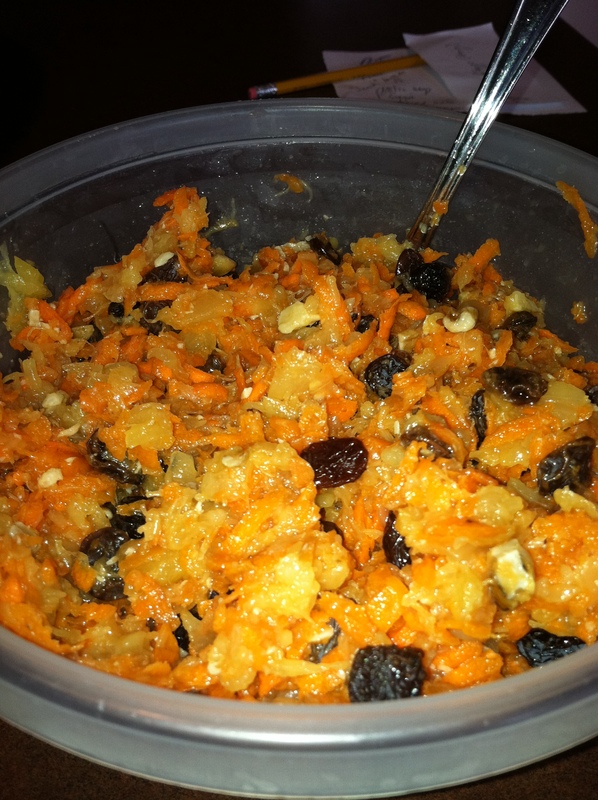 Shredded carrots, raisins, chopped walnuts, crushed pineapple (I guess fresh would work too, but I use canned). Posted on June 23, 2011 by Olivia FecteauPosted in UncategorizedTagged food, recipes. Great recipe today thanks for sharing. Food and recipes are really enjoyed by everyone. It can be a great common interest. Thanks again! Feel free to check out and share this delicious Sirloin Tip recipe. It’s just mouthwatering!